This morning brought out an exciting array of fellow fitness instructors, yogis, studio/gym owners and fitness enthusiasts to a party atop the Big Carrot . 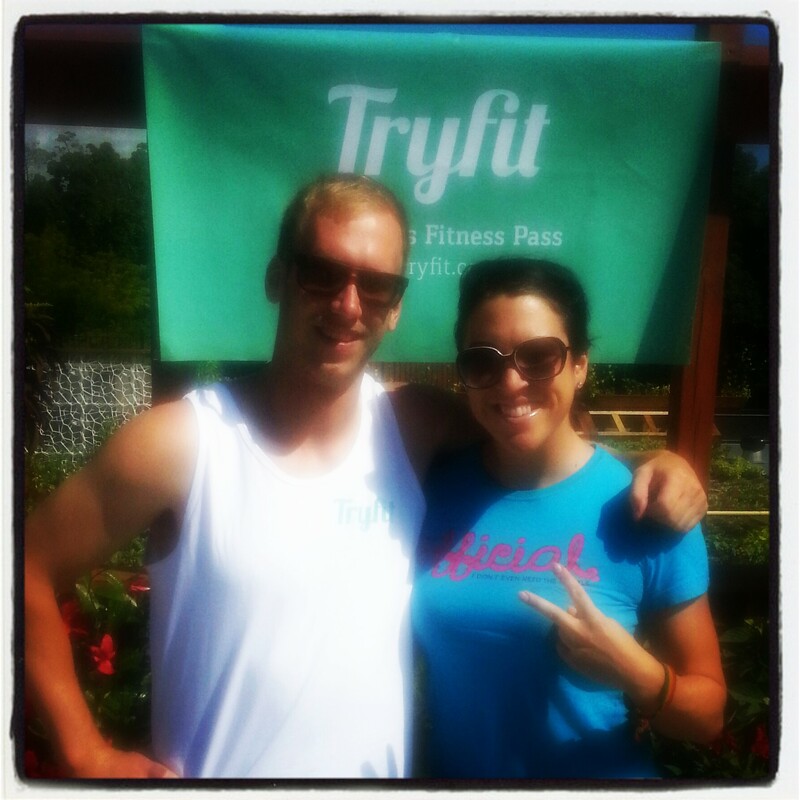 This fun filled, health promoting event was for the media launch of Tryfit.ca . Before I continue I would like to thank Jake for having me out. It was an exceptional way to start my day. I had to leave early to teach a class but the time I was there was awesome. Aside from the banging beats from the DJ, the snacks and spa water quenching my thirst for some awe-inspiring oh yeah-ness, every one there was so friendly. It is always great to see a community of like-minded positive people in one place. The day was gorgeous (aka sunny and hot wooooh) and the rooftop venue made the mini-workout sessions that were a part of the event much more enjoyable. The ability to network and to share stories was also a highlight. While there was fun to be had, it was all very professional and well organized by all. I love what Tryfit.ca is doing. There are so many great spots in Toronto and so many different styles, modalities and venues that it is a shame NOT to experience as many of them as you can. The fact that they are also helping to grow and promote good people trying to make a difference, makes me love this concept even more. By offering what they are, they are not only helping to grow the smaller businesses in the community, but they are also helping others to find their fit when it comes to fitness.